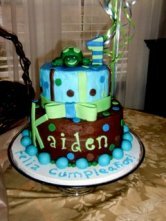 There are many boys birthday cakes that can be fun to make and manageable enough to decorate on your own, even with limited experience. Easy cakes are appealing to novice cake decorators. However, a simple birthday cake can still look great and make your birthday boy happy. Very young boys may want a cake with their favorite cartoon character or a birthday cake shaped like an animal. There are many character-shaped cake pans that allow you to make your cake look like the character. These easy birthday cakes simply require decorating with a Wilton #21 star tip. After removing the cake from the pan, you will see the indentations that shape the cake. Following the lines, simply pipe a star continuously and your character will emerge. 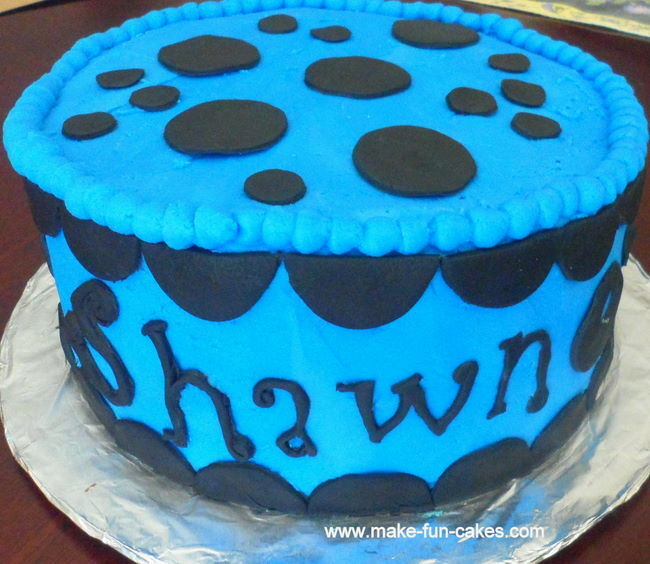 Cakes decorated with geometric shapes of fondant can make fun cake designs for boys. Experiment with different colors and shapes. Remember, any cookie cutter can be used to cut out fondant to decorate a cake. Cars, trucks and trains are also common cakes for boys. The cake can either be shaped like the vehicle or you can make a track on top of the cake. Use a cake topper to finish the look. Sports cakes are also popular choices for boys who like athletics. Teenagers and men also are pleased to receive a cake shaped like the ball of their favorite sport, whether it be soccer, football, basketball or baseball. With any of these cakes, you can personalize with favorite colors or messages. Check out all of our boy birthday cake pictures. Click on the picture to get free instructions on how to make the cake.